Introducing Wet n Wild makeup brushes collection to help you do your makeup in a right way, perfectly soft and smooth! 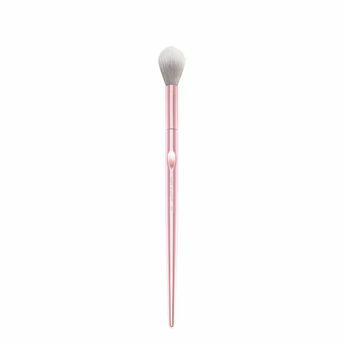 Exude radiance (or layer it on) with this cruelty-free brush. Its tapered, densely packed bristles effectively disperse the perfect amount of highlighting powder or cream to your cheekbones, cupid's bow, and the bridge of the nose.Ultra-soft and densely packed synthetic bristles.No animals were harmed in the making of these brushes.Ergonomic handle for a comfortable hold. Two-toned synthetic Polymax fibers that mimics the consistency of natural hairs. Ergonomic Handle for Total Control. Note : Wet n Wild is a Peta-certified, cruelty-free brand.Though not 100% of the products are vegan, but the brand is striving towards making them all vegan friendly! Explore the entire range of Face Brush available on Nykaa. Shop more Wet n Wild products here.You can browse through the complete world of Wet n Wild Face Brush .